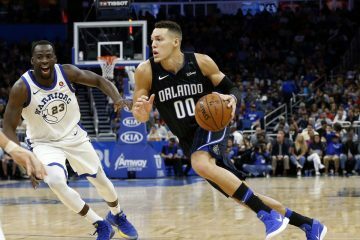 A look at the last 10 games of the Orlando Magic’s schedule shows they are finishing the season with a bevy of teams in the same position Coach Frank Vogel’s bunch finds themselves. At this point in the season, when your team is hopelessly buried at the bottom of the standings, there is little incentive. While some may be playing for their roster spot or a bigger contract, the biggest team prize is to play spoiler by knocking a team out of the playoffs. The Magic don’t even have that kind of opportunity. Their remaining three opponents with winning records will all be in the playoffs, though a loss to Orlando could affect their seeding. 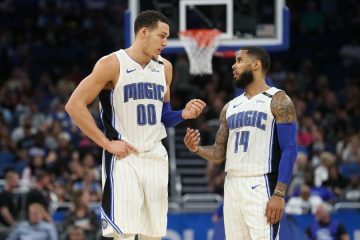 The 22-53 Magic begin their final 10-game stretch with 7 straight games against teams with a combined record of 172-356. The final 10 games started with a win over 19-57 Phoenix, followed by home losses to the 24-51 Brooklyn Nets and the 24-51 Chicago Bulls. Orlando travels to Atlanta Sunday to face the 21-55 Hawks in a battle to stay out of the Eastern Conference cellar — the Magic are No. 14 and the Hawks are No. 15 in the conference standings. The Hawks and next two opponents on the schedule, New York and Dallas, range between 22 and 33 games under .500. Not much spoiling going on there. Following next Friday’s home game with 34-42 Charlotte, Orlando finishes the season with three matchups against playoff teams. Next Sunday they play the best team in the Eastern Conference in Toronto (55-20), then go to 40-35 Milwaukee on April 9 before wrapping up the regular season at home against the 41-34 Washington Wizards on April 11. Of those teams, only the Bucks have a chance to slip out of the playoffs, though a loss to Orlando wouldn’t be enough to bump them from the post season. 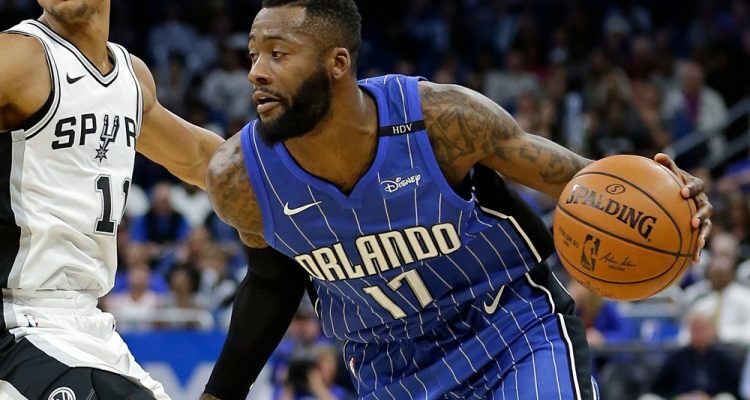 After that, it will be time for the Magic’s basketball operations staff, headed by Jeff Weltman and John Hammond, to really put their fingerprints on this franchise’s product on the court. They wanted a year to judge what kind of talent they had and now that year is up. Some of the moves they made last summer paid off. Jonathan Simmons has been a strong presence at the forward position, while guard Shelvin Mack has contributed both on and off the court. Whether they felt it was addition by subtraction, Weltman and Hammond dealt away starting point guard Elfrid Payton to Phoenix last month for only a second round pick in this year’s draft. Speaking of the draft, the Magic will again have a lottery draft selection. Hopefully, the entire organization is sick of picking early and want to avoid being the Cleveland Browns of the NBA. Due to injuries, we do not yet know if last year’s top draft choice and the sixth pick overall, Jonathan Isaac, will be a difference maker. He has played in only 26 games. 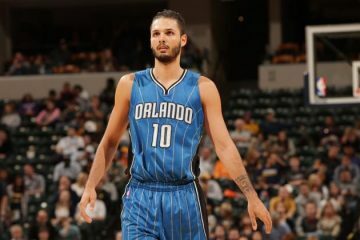 It would help if Orlando could get the first pick. 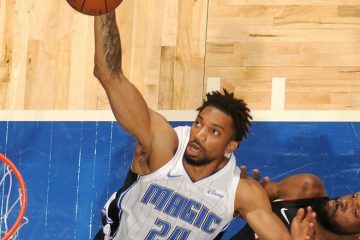 If the season ended today, the Magic would pick anywhere from first to seventh, with a 12 percent chance of winning the top pick through the lottery. But the draft does not come until June. After the remaining 7 games, Vogel will have to deal with rumors about his job, despite public assurances from Weltman in January that he was safe.